Finding the perfect gift for someone can be pretty straight forward if you ask the right questions. 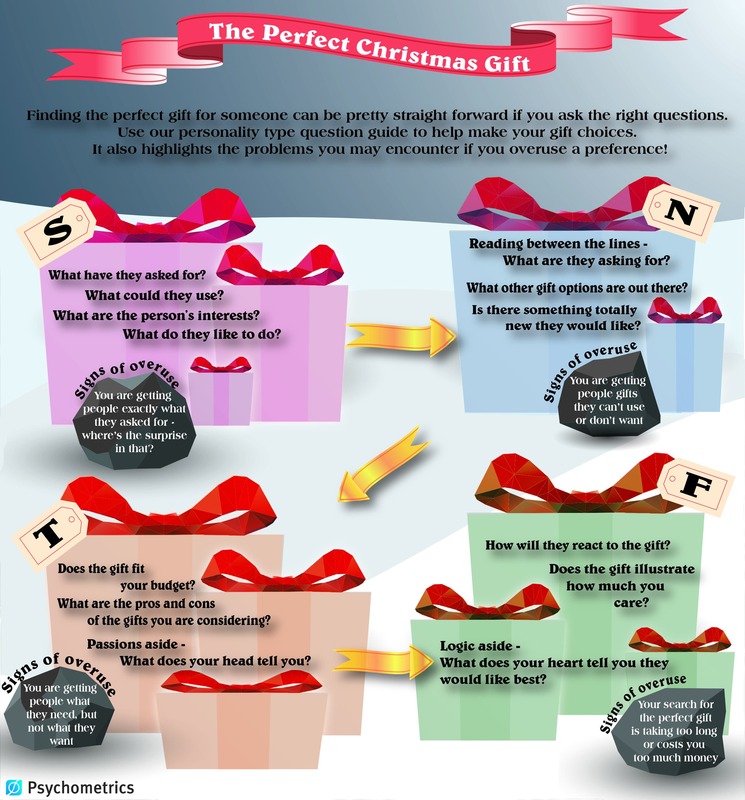 Use our personality type question guide to help make your gift choices. It also highlights the problems you may encounter if you overuse a preference!